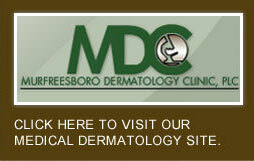 MDC Aesthetics Center is a division of Murfreesboro Dermatology Clinic, PLC, established in 1999. The Aesthetics Center was designed to provide patients the very best possible cosmetic dermatology care in a warm, relaxing atmosphere with friendly, knowledgeable staff. Services are conveniently located in Murfreesboro, Smyrna, and Mt. Juliet with more limited services available at all seven locations. 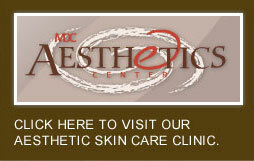 The services offered at MDC Aesthetics Center are not billable to any insurance carrier. For your convenience, MDC Aesthetics Center offers several payment options: cash, check, debit/check card, VISA, MasterCard, American Express, Discover, and CareCredit®. MDC Aesthetics Center offers a 3, 6, or 12 month no-interest plan through CareCredit®. There is no interest if the account balance is paid in full within the specified time period. Applications are available at MDC Aesthetics Cener or online at www.carecredit.com.